The 'wear indicators' are not visible on the rear and barely there on the front. Are they seriously toast or are these more of a guideline...? Fulcrums 5's that have not been maintained or cleaned much and have been ridden in the rain a bit as well..
bin em or turn them into trainer wheels... Those guides are definitely there for a reason! I nearly killed myself when the brake surface broke through years ago. Metal had worn so thing that when I went for the death grip it locked up my front wheel and I went over the bars. Mine did the same, but I was lucky that the metal peeled away in the right direction, so it just rubbed on the brake pad as it went under it rather than the peeled end jamming into the pad..
What if there is no wear indicator, I'm rolling on a pair of carbon clinchers & the braking surface has bowed in a fair bit. A crude method is inflate to 150 psi, if the blow apart then there we stuffed, if the don't fail then okay. Like a lot of things cycling, probably pays to be conservative. If rim wear indicators gone take notice. Check concavity using a metal straight edge metal ruler. But any rim with some degree of wear will usually have some concavity. 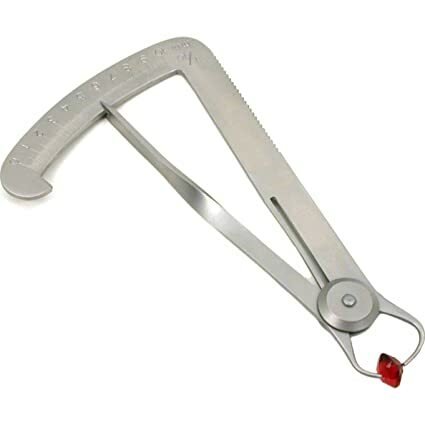 Use dental calipers (below) and measure wall thickness all the way around in small steps. Dont brake on that rim. We all have or have heard of stories of catastrophic failures and consequences. I have one rim on an old (ancient actually) trispoke front at 0.8mm thickness. Borderline. I barely brake on it and am looking for a replacement. I bought calipers to measure.